UK air traffic control company, NATS, has given its seal of approval to a new app designed to help pilots avoid infringing into controlled airspace. The UK AirspaceAVOID app from PocketFMS has been awarded the NATS Airspace Awareness Compliance Mark. The mark means that the app meets NATS’ criteria for airspace awareness and infringement prevention. PocketFMS has developed UK AirspaceAVOID for iOS and Android devices specifically to help pilots flying in the UK to avoid an infringement. Pilots using the app can see their position relative to the airspace around them and get a warning as they approach controlled airspace. UK AirspaceAVOID also automatically provides the appropriate call sign and frequency to contact the nearest air traffic control service. 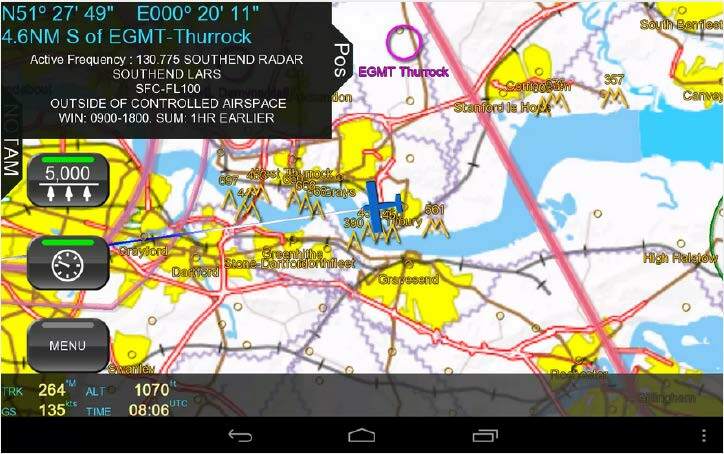 The app is free to download and use via www.PocketFMS.com/UKAA and the airspace data is updated every 28 days. The latest NOTAMs are also provided by a live link to EuroControl to ensure that pilots always have the latest information available. The UK AirspaceAVOID app follows the Airbox AWARE iPad and iPhone app as a recipient of the Compliance Mark.